With 643 out of 650 seats declared, the Conservatives had won 313 seats and were therefore no longer able to reach the 326-mark they would need to command a parliamentary majority. Labour had won 260 seats. 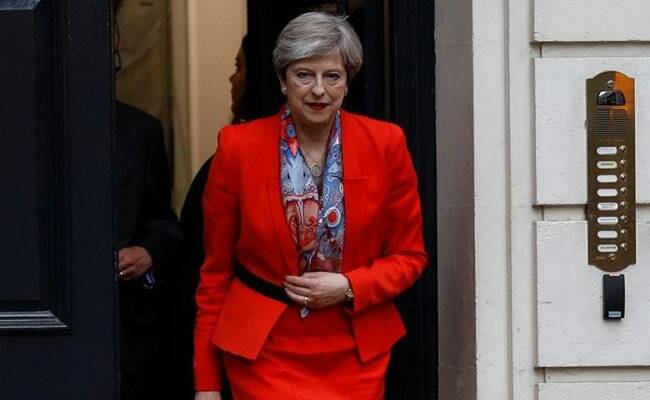 London: Prime Minister Theresa May was fighting to hold on to her job on Friday as British voters dealt her a punishing blow, denying her the stronger mandate she had sought to conduct Brexit talks and instead weakening her party's grip on power. With no clear winner emerging from Thursday's parliamentary election, a wounded May signalled she would fight on, despite losing her majority in the House of Commons. Her Labour rival Jeremy Corbyn said she should step down. With talks of unprecedented complexity on Britain's departure from the European Union due to start in just 10 days' time, it was unclear who would form the next government and what the fundamental direction of Brexit would be. From the EU's perspective, the upset in London meant a possible delay in the start of the talks and an increased risk that negotiations would fail. "We need a government that can act," EU Budget Commissioner Guenther Oettinger told German broadcaster Deutschlandfunk. "With a weak negotiating partner, there's a danger that the negotiations will turn out badly for both sides." Conservative member of parliament Anna Soubry was the first in the party to disavow May in public, calling on the prime minister to "consider her position". "I'm afraid we ran a pretty dreadful campaign," Soubry said. May had unexpectedly called the snap election seven weeks ago, even though no vote was due until 2020. At that point, polls predicted she would massively increase the slim majority she had inherited from predecessor David Cameron. Instead, she risks an ignominious exit after just 11 months at Number 10 Downing Street, which would be the shortest tenure of any prime minister for almost a century. Sterling fell by more than two cents against the U.S. dollar, hitting an eight-week low of $1.2690, but by 0609 GMT it had recovered to $1.2721. In the late stages of the campaign, Britain was hit by two Islamist militant attacks in less than two weeks that killed 30 people in Manchester and London, temporarily shifting the focus onto security issues. The Conservatives could potentially turn for support to Northern Ireland's Democratic Unionist Party (DUP), a natural ally, projected to win 10 seats. Analysis suggested that Labour had benefited from a strong turnout among young voters. UKIP saw a collapse in its support, shedding votes evenly to the two major parties instead of overwhelmingly to the Conservatives, as pundits had expected. The campaign had played out differently in Scotland than elsewhere, the main faultline being the SNP's drive for a second referendum on independence from Britain, having lost a previous plebiscite in 2014. SNP leader and First Minister Nicola Sturgeon said it had been a disappointing night for her party, while Scottish Conservative leader Ruth Davidson said Sturgeon should take the prospect of a new independence referendum off the table.